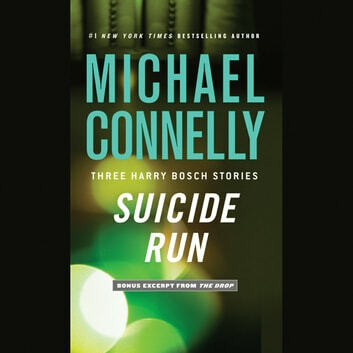 LAPD Detective Harry Bosch as we've never seen him before, in three never-before-collected stories. In "Suicide Run," the apparent suicide of a beautiful young starlet turns out to be much more sinister than it seems. In "Cielo Azul," Bosch is haunted by a long-ago closed case -- the murder of a teenage girl who was never identified. As her killer sits on death row, Bosch tries one last time to get the answers he has sought for years. In "One Dollar Jackpot," Bosch works the murder of a professional poker player whose skills have made her more than one enemy. Whether investigating a cold case or fresh blood, Bosch relentlessly pursues his quarry, always on the lookout for the "tell." 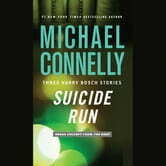 In this first collection of Harry Bosch stories, Michael Connelly once again demonstrates that he is the master of "fast-paced, brilliantly plotted crime fiction.... Harry Bosch is back on the case, and not a moment too soon" (Chicago Sun Times).